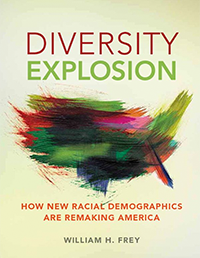 Future presidential elections will be strongly impacted by the nation's changing demography- its increasing racial diversity, the aging of its white baby boom population and population shifts between Snow Belt states and Sun Belt states. 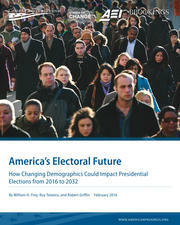 AMERICA'S ELECTORAL FUTURE explores how demographic changes in the electorate could shape outcomes of the 2016 election - and the four subsequent presidential elections. With colorful maps and illuminating statistics, it identifies solid Blue, solid Red and "swing" states that would result under different voting scenarios favoring Democrats and Republicans. 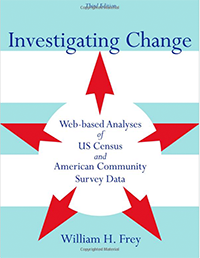 This engaging, richly illustrated book brings emerging demographic trends to public attention. Is demography destiny? Corporate marketers and government agencies act as if it is, producing mountains of statistics about Americans—most always remarkably inaccessible and dry. Now, America by the Numbers puts the power of demography back in the people’s hands, collecting and clearly explaining a vast amount of population data in easy-to-read, informative tables and graphs. From the new immigration to the aging of America, this guide reveals how the ebb and flow of population shapes every public and private decision we make. 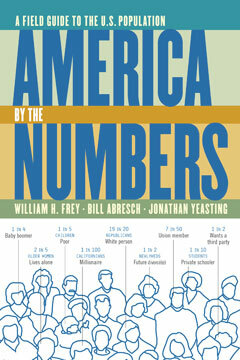 Engaging and accessible, America by the Numbers ranges across the U.S. landscape as it offers the latest facts about racial conflict, class division, health, schooling, family life, crime, and political participation. 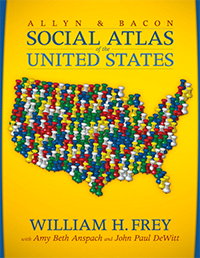 This book is both a practical reference on U.S. population trends and a probing examination of the roots of America's most pressing problems.